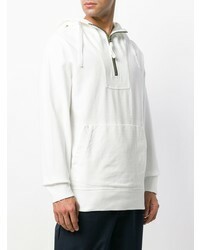 If you're on a mission for a casual yet sharp ensemble, marry a Sempach Herzog Hoodie from farfetch.com with beige chinos. As well as very comfortable, these garments look great together. 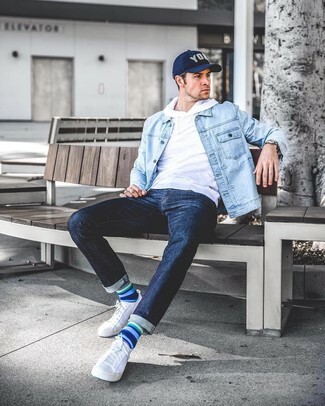 If you're a fan of relaxed dressing when it comes to your personal style, you'll love this knockout pairing of a Sempach herzog hoodie and light blue ripped jeans. 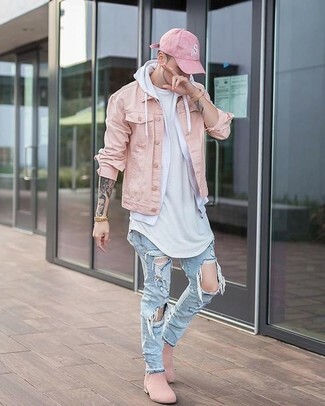 Elevate this outfit with pink suede chelsea boots. 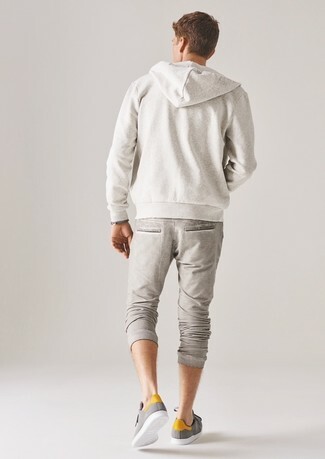 If you use a more relaxed approach to style, why not reach for a Sempach herzog hoodie and grey wool chinos? When it comes to shoes, this getup pairs wonderfully with white leather low top sneakers. 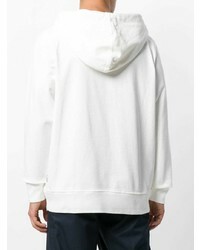 If you're all about relaxed dressing when it comes to fashion, you'll love this simple combo of a Sempach herzog hoodie from farfetch.com and white sweatpants. Up the cool of your outfit by rounding it off with white leather derby shoes. 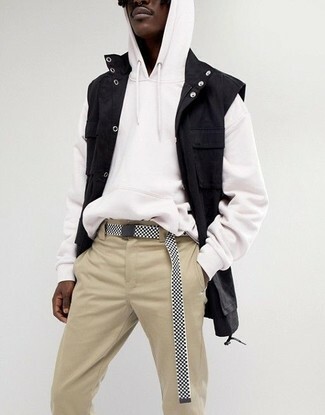 This combination of a white hoodie and navy jeans is on the casual side yet it's also seriously stylish and incredibly sharp. 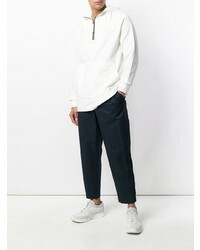 If not sure as to what to wear in the shoe department, complete this look with white canvas low top sneakers. 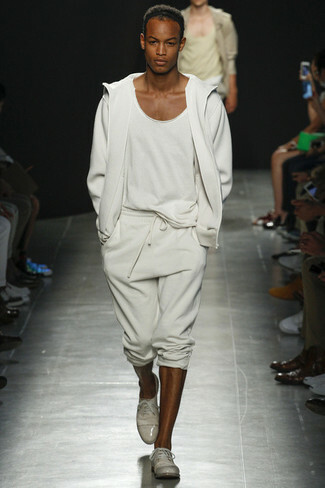 Wear a white hoodie and black sweatpants for a relaxed take on day-to-day wear. When it comes to shoes, this getup is finished off nicely with grey athletic shoes. 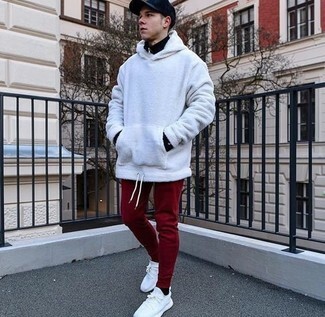 If you prefer relaxed dressing when it comes to your personal style, you'll love this simple pairing of a Sempach herzog hoodie from farfetch.com and burgundy sweatpants. Channel your inner Ryan Gosling and go for a pair of white canvas low top sneakers to class up your getup. 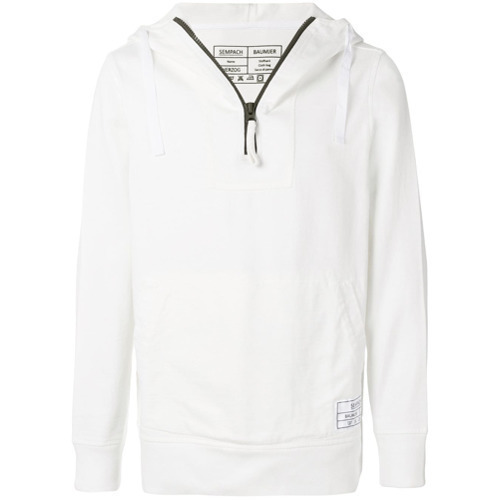 For a smart casual outfit, pair a Sempach herzog hoodie from farfetch.com with a beige suit — these items go really savvy together. To break out of the mold a little, grab a pair of white leather low top sneakers. 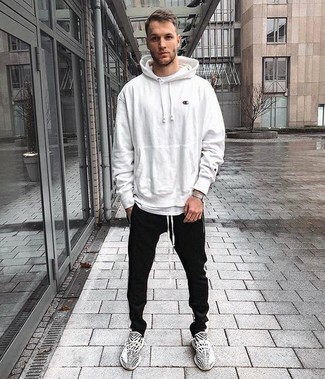 If you're a fan of relaxed dressing when it comes to your personal style, you'll love this simple pairing of a white hoodie and beige sweatpants. Amp up the cool of your outfit by wearing grey low top sneakers.